Bulgaria’s Hague adoption program is has a long history of placing children for international adoption. This is a stable program that is well mangaged by the Central Authority in Bulgaria, and the Adoption Service Providers there. Families interested in older children can see very short wait times. This is also a wonderful program for families interested in helping a child with medical concerns get the love and care the need, or looking for silbling groups. 1. Sign up with IAN and be approved to adopt with this program (See adoptive parent requirements below). Once you are approved, you will recieve IAN’s policy paperwork to review and sign, and then you can get started. USCIS I-800a approval- submit homestudy and supporting documents to USCIS to make sure you are approved to immigrate a child via adoption from Bulgaria. Dossier- compile documents together to present to the Bulgarian government to approve you to adopt. The Bulgarian government does not process adoptive parent applications in order they are received, but rather by placing priority on parents who are open to special need or older children. Bulgaria actively seeks families for children, rather than finding children for waiting families. The Adoption Council within the Ministry of Justice works diligently to match children with the best possible family, based on their paperwork. The Ministry of Justice provides information on the child through IAN. The family has up to two months to accept or decline. Once the parents accept the referral of a child, the Adoption Council will approve the application, and forward the case to the Minister of Justice for final approval. The paperwork then goes to the courts, and a date is set for a court hearing. Once the court gives approval, custody of the child is granted to the adoptive parents. Once you are matched with a child, we will submit all the child’s information to USCIS with the I-800 Application. They will verify the child meets the requirements to be adopted and immigrate as a US citizen. Your dossier will then be submitted to court, and once your case is approved, you will attend court to finalize the adoption of your child! 5. Get visa for Child to come to the US. Once you have the court decree and other supporting documents, those will be submitted to the US Embassy in Sofia. Once approved, the child will be issue an IH3 visa to come to the USA and achieve automatic citizenship. There is no set waiting period specified in Bulgarian adoption. The average age of the children being adopted from Bulgaria is between the ages of three and fives years of age. An adoptive family can expect to wait approximately 1.5 to 2 years from the time a dossier is submitted to being matched with a child. The time frame between being matched with a child and your court date is an additional several months. The time frame from your court approval date to your U.S. embassy date is approximately three to five months. For older children, or special needs children, the time will be significantly less. Under Bulgarian law, the age range of children that can be adopted is between 0-18 years of age, however, the majority of children actually being referred to adoptive parents are age three years and older. Many sibling groups of various ages are available and waiting now! Both males and females are available for adoption. Adoptive parents should be flexible in regards to the gender of the child being referred to the adoptive parents, as there are more male children available for adoption than there are female children available for adoption. Health conditions vary. Children may have mild correctable medical conditions. Due to the circumstances which bring these wonderful children into adoptive situations even healthy children have experienced some malnutrition and developmental delays. Special Needs children are also available. Married couples and singles may apply. Couples must be married at least two years. Previous divorce is allowed. One parent must be a US Citizen. Parents must be at least 30 years old. Older parents may be given an older children 10 years or older. There should not be more that 50 years age difference between the adoptee and the younger of the spouses in a married couple and there should not be more that 55 years age difference between the adoptee and the older of the spouses in a married couple. When a child is adopted by a single adopter, the lower age difference (of 50 years) should be considered. Bulgaria has no limit on the number of children already in the home, but prefers families with no more than four children. Parents must have a minimum income of $30,000, and must meet the USCIS guidelines. No chronic or infectious diseases. Adopters should be in good physical and mental health and they should not suffer from diseases which could pose a threat to the child’s life and health or diseases which would be an obstacle for the adequate satisfaction of the child’s needs. The Ministry of Justice, specifically the Adoption Council. 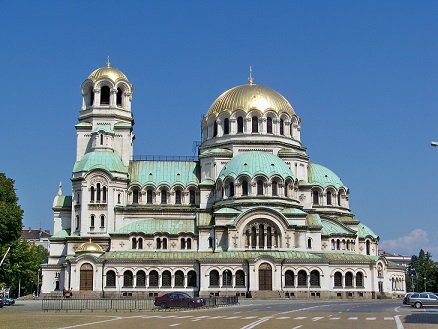 Two separate trips are required to Bulgaria and are approximately seven days in length for each trip. The first trip is for adoptive parents to meet the prospective adopted child. This will take place early in the adoption process and allows the adoptive parents to meet the prospective adoptable child, the orphanage staff, the officials, our partner agency, and to sign papers for legal initiation of their case. The second trip is to actually take custody of the adopted child and is scheduled approximately 3-5 months after the completion of the first trip. This trip is approximately seven to nine days in length. Although exceptions can be made in order for just one parent to travel on either trip, IAN highly recommends both parents make at least the first trip. If you are interested in this program, please call our Bulgaria coordinator, Karla Whelan, at 440-732-8455.